See pictures from the 10th Annual Meeting here. 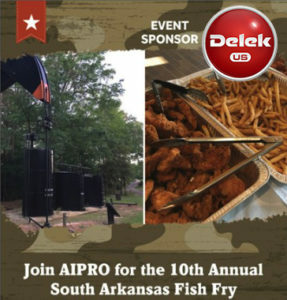 This annual gathering of AIPRO members and friends will be held on Monday, April 22, 2019, at the Arkansas Museum of Natural Resources in Smackover. See pictures from the 2018 event here.